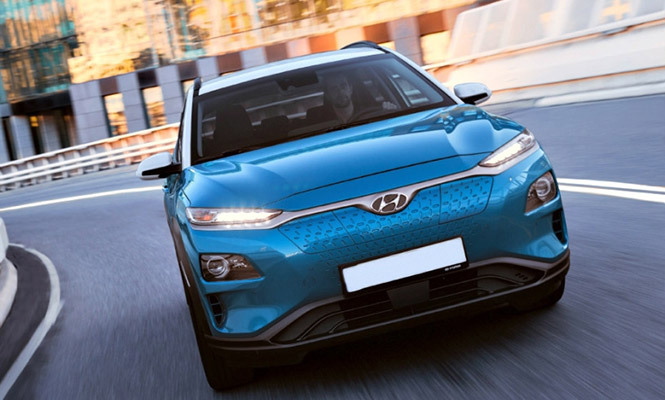 Three types of solar roofs for the car with hybrid, full-electric and internal combustion engine (ICE) is being developed by the Hyundai Motor Group. The solar charging panels have already been fitted earlier, which includes Toyota Prius Plug-in and for the very first time the technology will be meet an ICE-only car. The first type is for hybrids as it is arriving in the upcoming year. Depending on the weather, during a day, it can charge 30-60 percent of the battery. Then the vehicle can use that energy to minimize engine usage, which will increase fuel economy and lowering CO2 emissions. The second type is for ICE-only vehicles and will feature a semi-transparent solar roof that will be used to charge the battery of vehicle. This will be continued by the third system for fully vehicles, that will have solar panels on both the roof and bonnet to increase energy output. It has not been confirmed that which Kia and Hyundai vehicle will get the technology first and when it will become available in the UK. 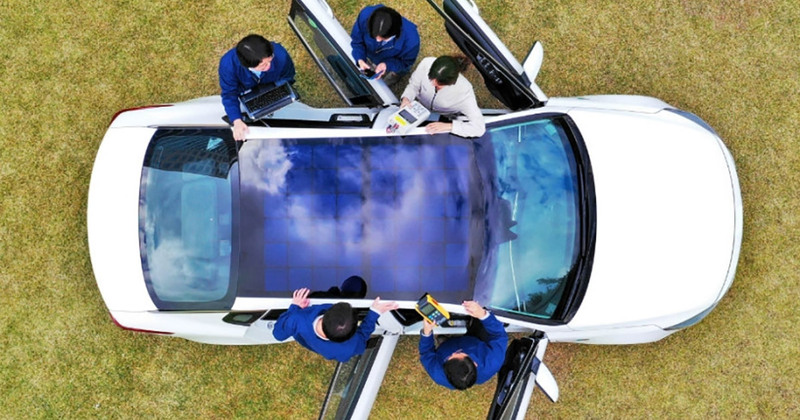 How does Hyundai’s solar panel tech works? The solar charging system contains a solar panel, a controller and a battery. Electron-hole pairs in silicon cells is created when the panel absorbs photons of light from the sun, allowing current to flow which will generate electricity. 100Wh of energy is produced (in ideal conditions: summer noon, 1000W/m2 intensity of radiation) when 100W solar panel is supplied. Maximum Power Point Tracking (MPPT) is featured by controller, which controls the current and voltage to maximise the efficiency of electricity stored by the solar panel. For maximising the range of the vehicle, the power is converted and collected in the battery or is used to minimise the load on the alternating current (AC) generator of vehicle.